3. THE PACKERS WON LAST NIGHT! Yeah, I’m pretty excited about all them. I guess the excitment was just too much for me this morning. My body told me to sleep, and my nose told me no. 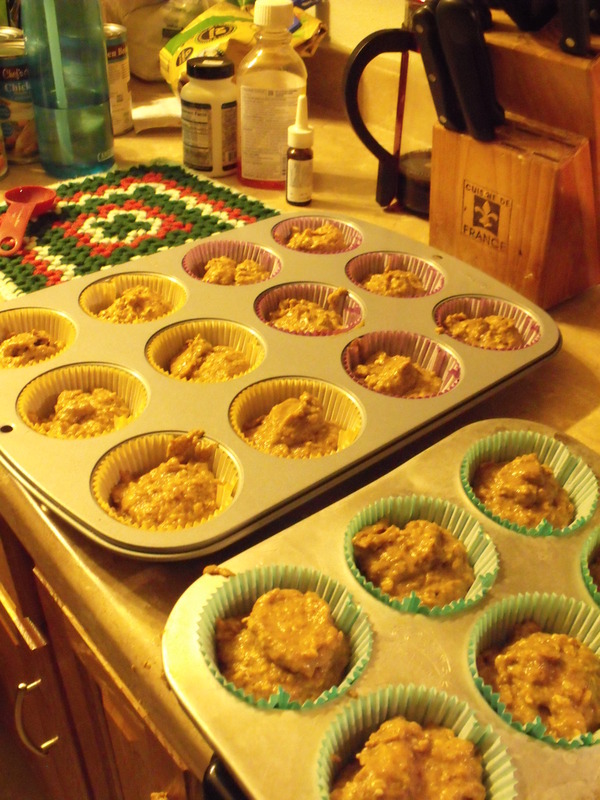 I found a couple recipes for banana oat muffins, and oatmeal applesauce, and I figured I could just add the small amount of pumpkin in and it wouldn’t change the consistency that much. 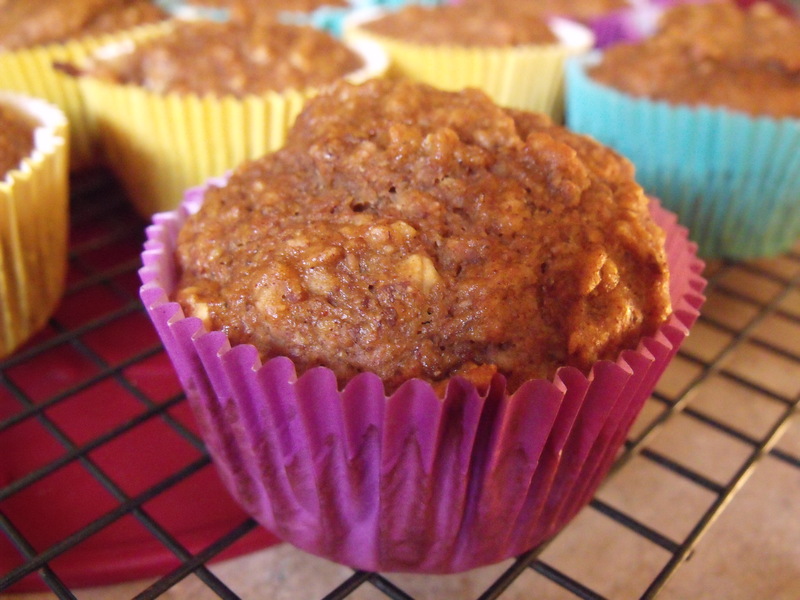 But I kept looking and stumbled upon Pumpkin Banana Oat Muffins! How perfect is that! It was meant to be. Fate, if I may. I looked through all the ingredients and I.had everything, except sucanat and oat bran. Easy peasy. 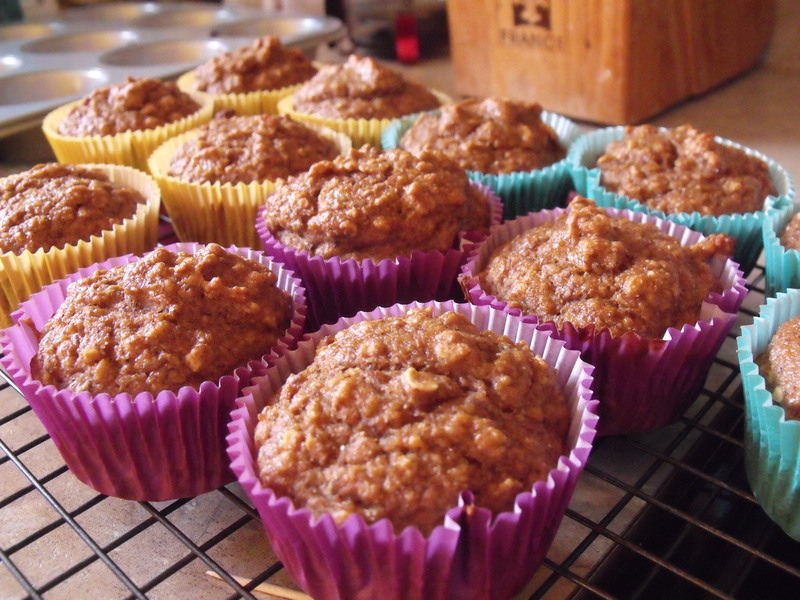 I substituted honey for sucanat and ground flax for oat bran. I was on my way to a delicious and healthy breakfast for my children and I.
Forgive my 4am photography…and my ‘drugs’ in the background.. In large bowl, whisk together flour, oats, flax, baking powder and soda, salt, cinnamon, ginger, and allspice/nutmeg. Add mashed banana, pumpkin, applesauce, egg whites, wheat germ and honey. Whisk until smooth. Use a spoon to distribute batter evenly to lined tins. 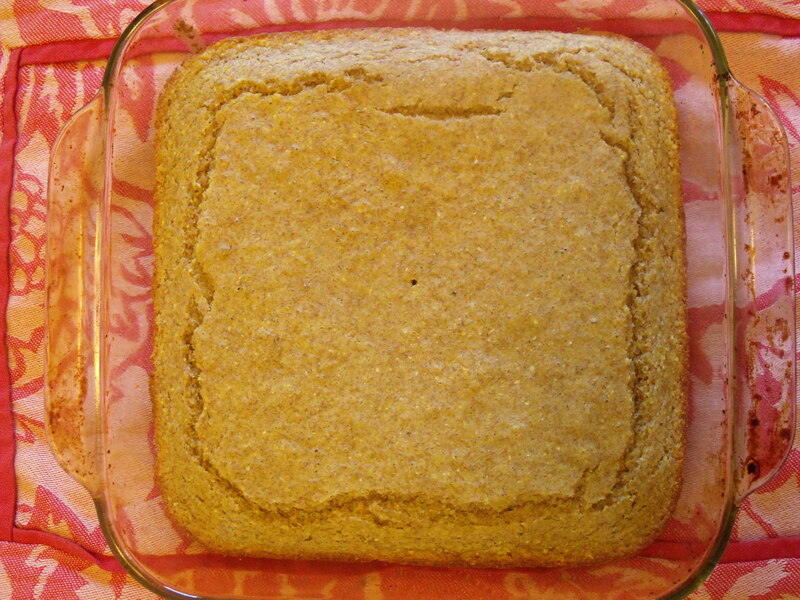 Note: If you don’t have wheat germ, just use 1 Tbsp more of ground flax. I’m sure you could use more flour or oats as well. Don’t let the little things keep you from eating clean! *I hate wasting things, so I froze my egg yolks to use in the future for ice cream! My hubby’s alarm went off at 2am. He got out of bed about 3am (that is a whole different story) and 3am is when I woke up and was then wide awake. Between my allergies and my mind racing, I decided that just getting up would be better. I gave a valiant effort to go back to sleep, but by 4am, I was done. I had to get up. Once I found this recipe, I knew it was the one for me. I had apples in the freezer that I had sliced last year and needed to be used (I’m not sure how long they last) and I knew I could replace most (if not all) of the brown sugar in this recipe. It was a success! I love them. My three year old was not a fan when it came to breakfast time that day. He picked out all the apples and only ate about half the muffin. But later in the morning, he told me was ‘starving’, so I offered him a muffin and he devoured it. 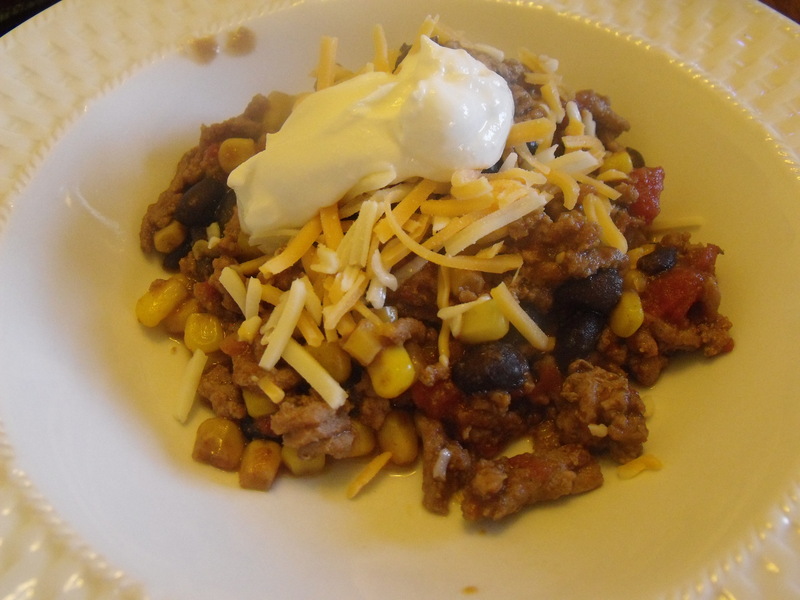 Place all ingredients, except apples, into a mixing bowl. (I used my stand mixer) After everything is well blended, fold in the apples. Spray muffins tin with non-stick spray and divide batter between the 12 muffin cups. Bake for 20-25 minutes or until a toothpick comes out clean. Remove muffins from tin and let cool on a wire rack.